Above all, the book is clarifying and comprehensive. In recent years, as awareness has grown of shamanism, ayahuasca and other sacred plants, spreading across the internet, television, mainstream news, legal battles and so forth, a great deal of information, and misinformation, has piled up. Thankfully, Beyer wields a mental machete, cutting a clear path through the tangled forest of cultural assumptions, allowing the down-to-earth daily reality of life in Upper Amazon to shine through. With Singing to the Plants, you are able to obtain a clear view of the bigger picture of mestizo life and shamanism in the Upper Amazon — a view that has, until now, remained too clouded. 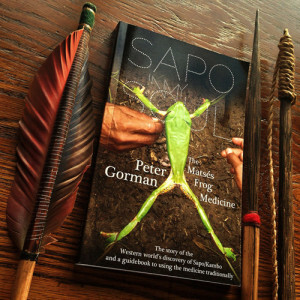 Beyer points out: “There is today considerable interest in shamanism in general, and in Upper Amazonian shamanism in particular, especially its use of plant hallucinogens; yet there is currently no readily accessible text giving general consideration to the unique features of Amazonian shamanism and its relationship to shamanisms elsewhere in the world. Moreover, many key texts, such as Luis Eduardo Luna’s 1986 dissertation, are out of print and almost impossible to find; and many important studies are in foreign languages, especially French. Perhaps seeking shamanism for “personal growth” need not be entirely dismissed; like plants, each person must grow. This is not a bad thing. However, the course this growth may take can invoke healing, or induce harm. Of utmost importance then, is to acquire and share knowledge regarding the territory. You will not last very long in the jungle without a guide, and Singing to the Plants is a magnificent guide. The book, and its wonderful cast of characters, curanderos, animals, plants, spirits and stories presents honest, accurate, respectful, levelheaded and, at times, outrageously marvelous descriptions of the environments and climates of mestizo shamanism in the Upper Amazon. Central to this are various sections concerning gardening, cuisine, music, house building, boats, soccer, yucca, and so forth, which serve to extend the cultural and shamanic landscape in broad and practical contexts. That was several months ago. Now having read it, in my opinion, it goes far beyond the category of “ayahuasca book,” far beyond a personal account, a dusty study or a focus on one plant. It is a biography of people, place and spirits. A well woven story that encompasses, explores, slices open and politely offers up the strange, joyous, interconnected, inter-dependent, liminal, geodesic, complex, simple, tragic, dangerous, difficult, disciplined, messy and majestic world that is the Upper Amazon. The richness, the colorful stories, the attention to detail, the tales of sorcerers and healers, the bridging and celebration of the mundane and the magical makes Singing to the Plants something akin to a Pablo Amaringo painting; a multi-layered vision to dive into, marvel and learn from. It is a great pleasure to go a little bit deeper into the forest with Steve Beyer; cut through the tangle, set up camp, a fire, a cup of tea, lay back, eyes closed, leaves rattle, wind stirs, the singing begins. MM: Steve, how have the plants changed you? SB: Life has changed me, and the sacred plants have been part of that. Also important have been my experiences in the wilderness, my training in jungle survival, my vision fasts in the desert, my family, and the joys and sorrows of a lengthening life in the human world. I don’t know whether it was drinking ayahuasca, or the magical phlegm my maestro ayahuasquero don Roberto Acho Jurema planted in my chest, or the gentle example of my plant teacher, doña María Tuesta Flores, working in my visions and my dreams, but I have changed. Far from the Amazon I have found that my arrogance and rage have drained away, and my heart has slowly opened. Entering into right relationship with people and spirits has happened spontaneously and miraculously. How did you first come to meet with don Roberto and doña María? I was introduced to them by Howard Lawler, my good friend of many years, and one of my elder brothers on the medicine path. Howard is a herpetologist by training; he first came to the Amazon to study reptiles, and, like many others, fell in love with the jungle. He has lived in Peru now for decades, and he is a profoundly knowledgeable student of both the Andean and Amazonian healing traditions. He introduced me not only to doña María and don Roberto but also to my teachers don Antonio Barrera and don Rómulo Magin. In terms of the culture and shamanism in the Upper Amazon, what, if anything, do you feel has been lost? Indigenous people all over the world are now embedded in global modernity, whether anyone likes it or not. There is no turning back, no way to disengage from the modern world, nowhere for indigenous peoples to retreat. And I think it is fair to say that indigenous people are, generally, worse off in many ways since this change than they were before. Still, there are aspects of modernity — modern dentistry, for example — which could be of benefit to the Amazonian peoples if they had access to them. Indeed, modern technologies have already been appropriated in the Amazon for resistance to oppression — using video as a tool for perpetuating and reaffirming cultural values, or Google Earth to identify river discoloration caused by illegal mining operations, or GPS mapping to determine traditional land boundaries. So what has been lost, I think, is a kind of innocence — a sense that isolation in the jungle offers protection from the challenges of modernity. The mestizo and indigenous peoples of the Upper Amazon are now compelled to engage with the modern world, to deal with natural resource exploitation, cultural appropriation, the temptations of ayahuasca tourism, establishing their identity in the contemporary nation-state, and new and challenging concepts of sickness and healing. I have no idea how this will turn out. In some of my own experiences and relationship with ayahuasca, speaking about itself, and perhaps also of life in general, it has said to me “there are no rules, only guides.” What do you feel about this? How do you feel this relates to the disciplines of shamanism, La Dieta for example, to Amazonian and mestizo traditions and to the waves and criticisms regarding “contemporary/Western” ayahuasca engagement? I was often told in the Upper Amazon that the difference between being a healer and a sorcerer lies in the exercise of self-control. This means self-control during la dieta and during the period immediately following coronación, when the apprentice must learn to control the magic darts received from the teacher. People in the Upper Amazon consider the darts and other pathogenic objects in a shaman’s phlegm to be spirits — autonomous and alive, sometimes with their own needs and desires, including a desire to kill. The healer is able to control these dangerous substances only by discipline and self-denial. One may take this as a metaphor, but I believe that it is profoundly true. Our egos are as tricky and autonomous as magic darts. Our envidia, our foolish willingness to destroy relationships of trust and confidence with others, seems to flair up at the slightest provocation. Whether it is called a rule or a guide, once again we see the centrality of right relationship in indigenous thought, and the necessity for care and self-control in how we treat our relationships with the spirits and each other. Regarding contemporary/Western knowledge and use of ayahuasca, much is being discussed and debated, especially regarding ayahuasca tourism. There is the notion that no such thing as ayahuasca tourism actually exists, that to be a tourist one watches from the sidelines, but never really gets involved. However, people who go to the jungle to be in ceremony are out there vomiting and defecating like everyone else and often those who go to the jungle under the pretence of tourism, come away somehow different. Additionally, many people feel called in one way or another, to the jungle by the ayahuasca itself. What do you feel is going on here? The plants speak in many different ways, I think. Sometimes people have life-changing experiences in the first session. And sometimes the sacred plants work slowly and subtly, in plant time. Sometimes the effects of ceremony may not be felt for months, and then the effects may not be visionary, but rather in stirrings of intention, new ways of looking at the world, a greater openness to wonder. I am concerned that telling people they will “come away somehow different” from drinking ayahuasca may lead to unrealistic expectations, and to self-blame when those expectations are unmet. As I said, I think that, for many people, sacred plant medicines work slowly, over time, and sometimes subtly, so that one day you realize, to your surprise, that the world seems different — more wonderful, more miraculous, and filled with the spirits. For me, that is the lesson of the ayahuasca vision — not necessarily the healing of our perhaps irremediably flawed selves, but rather a way to see through the world to the wonders that were there all along, and we could not see. It is true that some people feel called to the jungle. But it has been my experience that many people dislike the jungle, its humidity, its insects, its often imaginary dangers; they are afraid of it, and seek to be insulated from contact with it. That is one reason I put sections on such things as house construction, gardening, hunting, fishing, folklore, and daily life in Singing to the Plants. I wanted to provide a resource for people to learn about the cultural context — including material culture — within which the healing practices of the curanderos are embedded. If someone is in a tourist lodge in the jungle eating plantains and fish, I would like there to be a way for that person to learn where those plantains and fish came from — that they did not magically appear, but are the result of labor, knowledge, and insightful ecological management. Have you ever considered a new word, phrase or way to describe so-called ayahuasca tourism or the global/urban/Western knowledge and use of ayahuasca? I think the term ayahuasca tourism has become pretty well established, and fits in with the established term drug tourism for the phenomenon globally. I am not sure we need a euphemism, since a lot of people who try ayahuasca are, in fact, tourists, for whom drinking ayahuasca is part of the tour package, along with viewing the macaws at a clay lick. Even people who come to the jungle for the sole purpose of drinking ayahuasca are often spiritual tourists, checking off one more item on their life list of transformative experiences. People drink ayahuasca while disengaged from the lives, culture, and struggles of the communities in which the medicine is embedded. But, once you step foot on this path, the sacred makes demands on you — for attention, for respect, for open-heartedness and right relationship — and these demands cannot be denied. What are your thoughts regarding individuals in places like Canada, Europe, the United States, Australia and so forth, who are brewing and drinking ayahuasca on their own, in their own homes, outside the Amazon? I do not think that there is just one form of shamanism, or just one kind of shamanist culture. Ayahuasca shamanism in the Upper Amazon, for example, has always been voraciously eclectic. A generation ago, indigenous shamans spoke of radio waves and submarines; now they speak of laser beams and intergalactic spaceships. In the same way, I think we are seeing a resurgence of animist and shamanist forms in the industrialized world, some of which may survive and many of which will be transient. But I think people need to be cautious, for two reasons. First, of course, ayahuasca is, in most places, illegal. It contains dimethyltryptamine, which is a Schedule I controlled substance in the United States and, under the United Nations Convention on Psychotropic Substances, most other countries as well. Second, shamans in the Upper Amazon will tell you that embarking on this path alone, without the guidance and protection of an experienced shaman, is dangerous. The visionary world holds both allies and enemies, both meaning and peril. There should always be someone present who can call the protective spirits and sing the songs that guard the participants and guide their visions. In what ways do you feel people can begin to reciprocate, share the process and build right relationship with these plants, peoples and the shamanism surrounding it? When foreigners come to the Amazon for healing, they often carry their own culturally embedded notions of the causes and resolution of suffering. Some shamans adopt the concepts and language of these clients, some for commercial reasons, some out of a genuine desire to communicate. Sadly, this process appears to be largely one way. I just do not see most foreigners adopting the complex, tragic, and ambivalent views on healing and sickness that lie at the roots of ayahuasca shamanism in the Upper Amazon. I don’t think that we can view shamanism in the Upper Amazon through the lens of some popular construct of what shamanism is all about, as benevolent, nurturing, and safe. I do not think we should ignore the dark and deep aspects of this tradition, paint it in bright and soothing colors, and rob it of its richness and ambivalence. All we can do, I think, is to ask ourselves how the sacred plants want us to live, how we can walk this medicine path in a sacred way, in right relationship. Recently, I had a long conversation with the ayahuasca and the spirits and was told “don’t worry about ayahuasca” with a kind of nod and wink to the contemporary awareness and use of ayahuasca. This was accompanied by two things; an image of someone trying not to laugh, as though they know something you don’t, like a practical joke about to reach its punch line, and a vision of a “David and Goliath” scene. Except, behind the Goliath stood an immense, wild, interconnected entity of plants and spirits and energy. Considering this, and such things as Dennis McKenna’s message; “You monkeys only think you’re running things”, to what degree do you feel the plants and the spirits are the forces in charge (or forces to be reckoned with) on this planet? I personally am very micropolitical. In my own work as a peacemaker and community builder, I seek to institute change at the most local possible level, in schoolrooms, church basements, community clinics, and youth detention centers. So my thinking about plants and spirits is micropolitical as well. To me, Dennis’s message is a personal one, that has to do with giving up ego, control, and the delusion of power. The question that the plants have asked me is this: Are you willing to give up ego, hierarchy, power, dignity, self-importance, moral superiority? Are you willing to give up control, to hand yourself over to the process? Are you willing to see the world as miraculous and filled with spirits? I think the plants love us. I have no idea why. We certainly have done nothing — at least recently — to deserve it. I think that they want us to be human beings again. Ayahuasca is often about death, whether it be the healing of an illness, traveling to the land of the dead, “death as a doorway”, speaking with ancestors and so forth. Considering that we are living on, and struggling with, a planet that is regarded as being in its death throes; what role do you feel ayahuasca and the plants play in this respect? Have the plants suggested to you anything concerning the life, death or afterlife of the planet? Singing to the Plants covers an astonishing amount of territory. At this point, now that the book is released, is there anything you feel you didn’t discuss, any avenue left unexplored, a story left untold, or something newly discovered you would have loved to include? Given the publishing schedule, it is impossible for the book to be entirely up-to-date on all the latest legal developments. And I have been thinking about similarities and differences among the sacred plants and fungi — peyote and ayahuasca and teonanácatl, for example — in their ceremonial contexts, and about the cognitive psychology of visionary experiences generally. If I were writing the book today, too, I would probably have a lot more to say about the way in which ayahuasca — or at least the idea of ayahuasca — is penetrating American popular culture. From time to time I write down my current thoughts in the Singing to the Plants blog. Picture this: You’re walking through the deep jungle, all of a sudden you find all the ingredients you need to whip up some of your favorite jungle cuisine, what would you make? Wow. Well, we could begin with a nice palm heart salad. If we have a frying pan, let’s cook up an appetizer of suri, palmetto beetle grubs, along with some wild garlic. Then a fish course — paiche, the largest freshwater fish in the world, or the dorado catfish, prepared as a patarashca, wrapped in the large leaves of the bijao palm and placed on the hot coals of our fire. I am fond of the large rodents, so perhaps we could roast some agouti or capybara over the fire, and fry up some plantains in the fat left in the pan from the suri. On the other hand, you might prefer tapir or peccary or deer, or even turtle soup. Whichever we choose, we can garnish the dish with some sliced boiled panguana eggs. And for desert we can have just about any kind of tropical fruit imaginable. Then we can sit back with full bellies and tell stories all night. Stephan Beyer holds a law degree and doctorates in both religious studies and psychology. He lived for a year and a half in a Tibetan monastery in the Himalayas, and has published three books on Buddhism and Tibetan language and religion. He has been a professor at the University of Wisconsin Madison, the University of California Berkeley, and Graduate Theological Union. For twenty-five years, he was a lawyer and litigator at a major international law firm in Chicago. He has been a wilderness guide and a peacemaker and community builder. He studied wilderness survival among the indigenous peoples of North and South America, and sacred plant medicine with traditional herbalists in North America and curanderos in the Upper Amazon, where he received coronación by banco ayahuasquero don Roberto Acho Jurama.